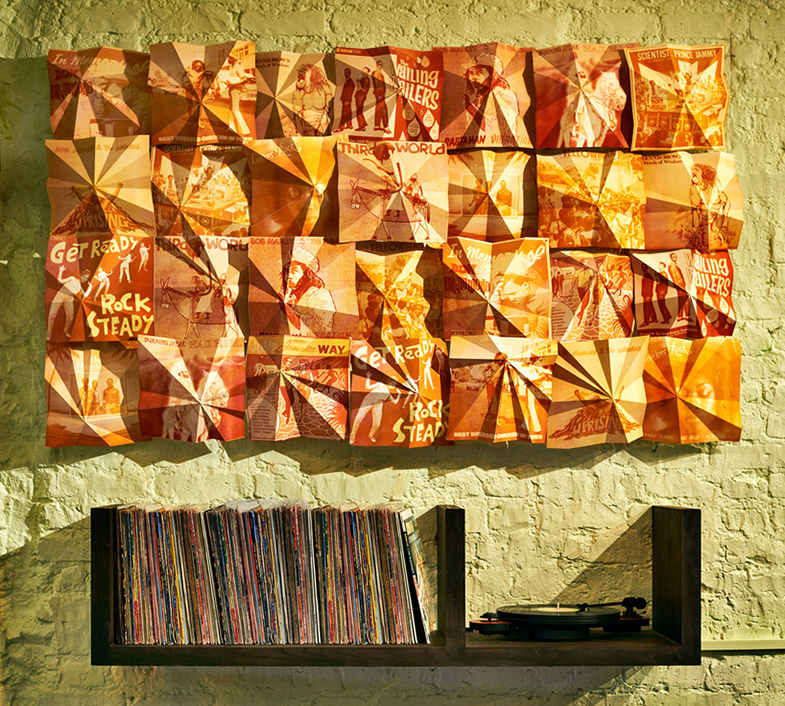 A wall installation commissioned for Rubies, a Jamaican restaurant in London’s Dalston – constructed from 25 risograph printed reggae album sleeves. Each sleeve was folded repeatedly to create a 3-dimensional peak, mirroring rays of light and warmth, so often associated with the music genre. Brought together for this wall piece the combined sleeves reflect the jungle canopy that covers Jamaica, the birthplace of reggae.